(5 a.m. EDT) -- Eight maiden port calls, 14 overnight stays and 19 transatlantic crossings are just some of what Cunard passengers can expect from the line's 2020 itineraries, which were revealed Thursday. 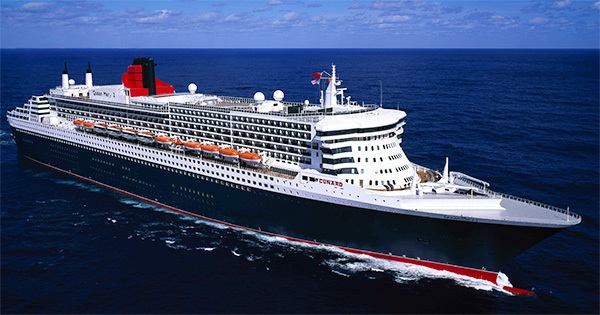 Cunard will call on eight Europe, Asia and United States ports that are totally new for the line: Bornholm (Denmark), Ringaskiddy (Ireland) and Nordfjordeid (Norway) with Queen Victoria and Jakarta (Indonesia), Kushiro (Japan), Ishigaki (Japan), Tokyo (Japan) and Seward (USA) with Queen Elizabeth. In addition to more than a dozen overnight stays -- including ones in Amsterdam, Barcelona, Reykjavik, St. Petersburg, Hong Kong and Singapore -- Cunard will offer 19 late-evening departures. As a result of the longer stays, the fleet's average time in port is 10.5 hours, which means cruisers will have more time to explore. "This programme has been designed to offer our guests more freedom and time to explore some of the world’s most beautiful and iconic destinations at their leisure," said Angus Struthers, Cunard's vice president of marketing, in a statement. Further, the line's classic transatlantic crossings will continue on Queen Mary 2, featuring 19 voyages between Southampton and New York. Cunard's 2020 program runs from March to December, during which time the fleet will travel more than 169,000 nautical miles and call on 110 destinations in 34 different countries.